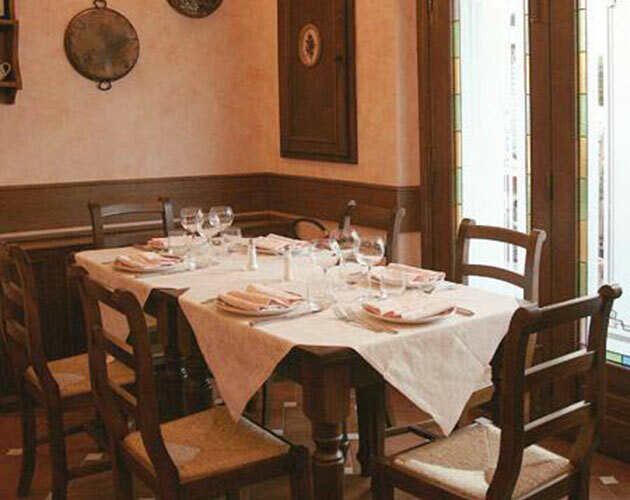 Restaurant in the center of Florence, near Santa Maria Novella station, La Carabaccia offers typical Tuscan cuisine accompanied by prestigious regional wines. Every day, the chef makes use of seasonal fresh products to prepare traditional Florentine dishes. Grilled meat and Florentine steak are the main features on the menu! A fine wine list accompanies every selection, with a sommelier on hand to help you in you choices, including a refined list of distilled spirits for a perfect conclusion to your meal. Our pleasant outdoor dining area provides a charming setting in which to enjoy the nice weather and our typical cuisine. Services for children: La Trattoria Carabaccia provides practical wooden high chairs to make meals safer and more comfortable. The lady's restrooms also feature a changing table to facilitate diaper changes. For lunch, a daily menu is proposed alongside the à la carte menu, with soups, pasta, salads, second courses of meat and fish: we cater to the preferences of our regular clientele, while rediscovering the flavors that combine Italian tradition with a light and tasty cuisine, in an informal setting that offers prompt service. A candlelight dinner in a softly lit setting with a selection of great musical hits playing in the background accompanies you in discovering the à la carte menu. A more elaborate, vast selection of dishes that feature meats, particularly Florentine steak prepared on a charcoal grill. Seasonal fresh vegetables are served daily, ideal for those who prefer vegetarian cuisine; gluten-free meals available on request. Typical schiacciata, pasta and sweets are all homemade. 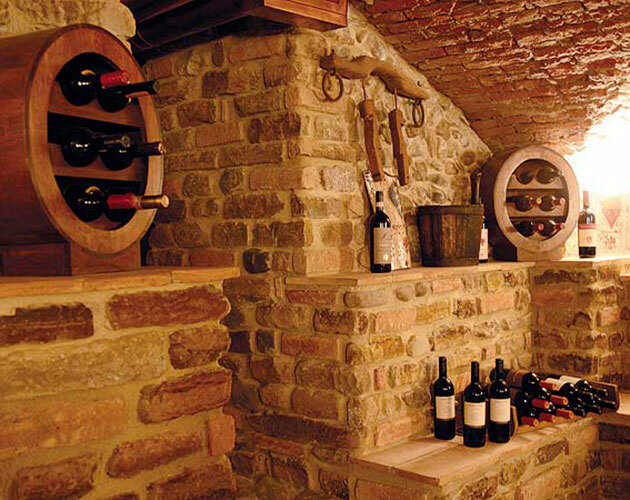 The wine cellar provides an exclusive context at La Carabaccia, for an exquisite tasting, romantic dinner or an important work meeting, in a supremely elegant atmosphere. The building, which dates back to early 1600s, reveals striking vaulted ceilings, terracotta floors and pillori, inimitable niches set between the walls expertly built in stone from the river Arno. This beautiful setting, including the original coat of arms of noble Florentine families, provides a unique backdrop for conserving our Tuscan red wines and other varieties selected from over one hundred renowned Italian labels. The history of La Carabaccia begins in the early 1900s, when it is established as a fiaschetteria, just a short distance from the banks of the Arno river A customary meeting place for the renaioli – the river sand workers – and artisans, the fiaschetteria offered tasty spuntini (snacks), such as crostini and fettunte (bread spread with olive oil), always accompanied by an excellent, fragrant glass of wine. In 1972, the establishment was turned into a trattoria serving typical Tuscan cuisine, earning an international reputation as a locale offering fine food. The name Carabaccia refers in part to an ancient boat that once sailed on the Arno transporting sand and salt, and it is also derived from the name of a delicious soup, today one of the specialties on our menu, whose recipe dates back to the kitchens of the Medici family, the dukes of Florence. 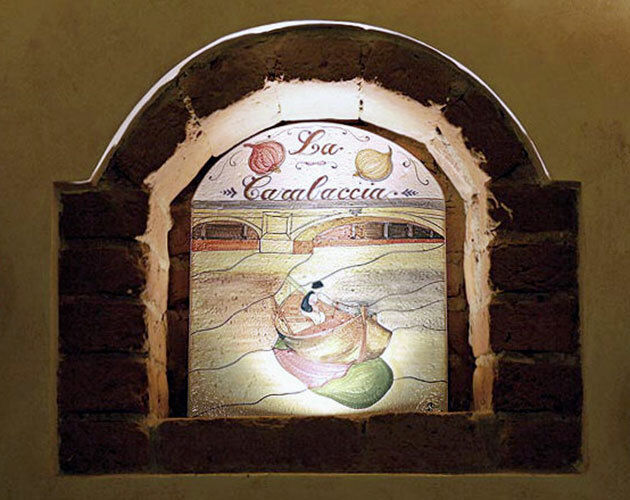 In 2007, La Carabaccia was turned into a restaurant, with larger dining spaces, a 50 sq. m. kitchen and excellent service. 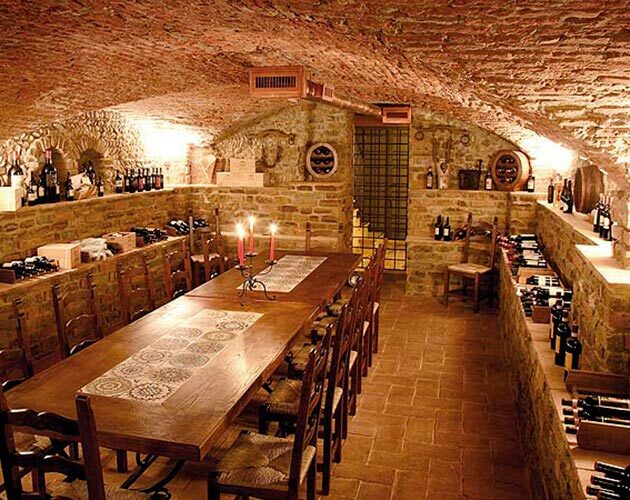 The typical Tuscan menu has been supplemented with various culinary innovations. The traditional flavors of our cuisine remain intact, as does the warm ambiance that have made the locale an unfaltering standard of excellence for the city of Florence. 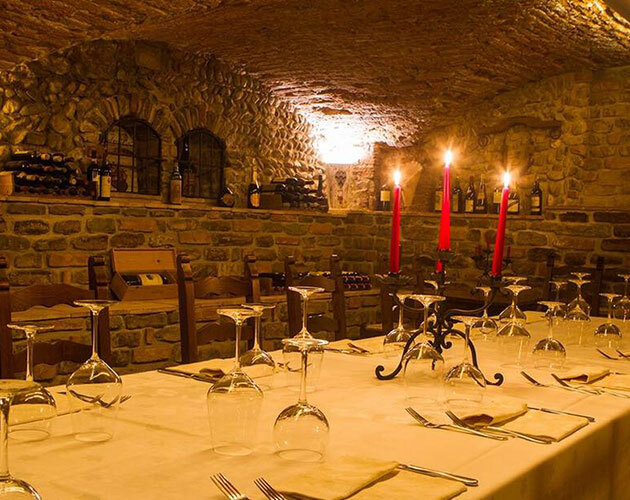 The delicacies of Tuscan cuisine and renowned Florentine steak are only a few of the specialties served at La Carabaccia, a typical restaurant in Florence, where a refined renovation has highlighted the beauty of the original medieval halls and ancient 17th century stone arches. The splendid authentic chestnut beamed ceilings and rustic Florentine style furnishings create a unique atmosphere, combined with relaxing lighting from the precious terracotta creations and wooden pieces embellishing all of the restaurant's spaces. Large solid wood tables, set well apart, ensure discretion and comfort for around one hundred guests, who can dine under the stars during the summertime in the restaurant's spacious terrace, serving specialties of Tuscan cuisine. 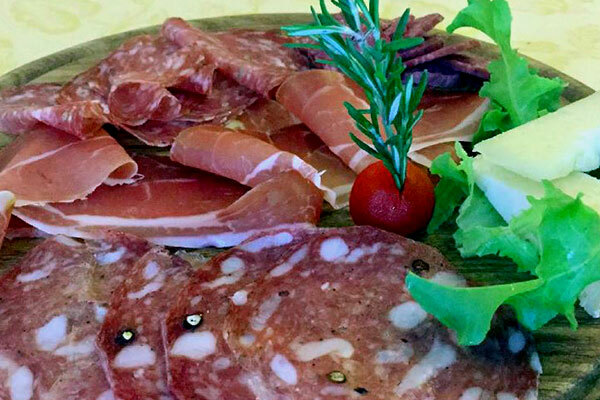 With its large charcoal grill, the pride of La Carabaccia, the kitchen prepares a wide array of dishes that use first quality ingredients and seasonal products. It is possible to eat both lunch and dinner, the Tuscan style pizza, thin and crunchy, with a diameter of about 31 cm, with a natural rising of up to 72 hours, which is very easy to digest and cooked in a latest generation oven, entirely in refractory stone. The menu includes classic pizzas, white and special pizzas. Also take-away. AVVISO DI COPYRIGHT. 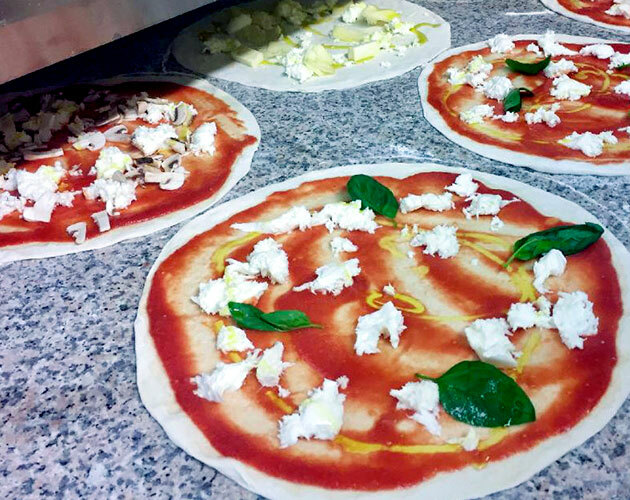 Tutto il contenuto di questo sito web, inclusi i loghi, le immagini, le fotografie, i disegni, i grafici ed il testo, è di proprietà di Ristorante Pizzeria Trattoria La Carabaccia o è stato concesso in uso esclusivo a Ristorante Pizzeria Trattoria La Carabaccia ed è, quindi, protetto dalla legge sul diritto d'autore. Si fa espresso divieto di copiare, pubblicare o modificare qualsiasi contenuto del sito o di un suo allegato senza il consenso scritto da parte di Ristorante Pizzeria Trattoria La Carabaccia. Il sito "www.trattorialacarabaccia.com" fa utilizzo dei “cookie” per permettere una migliore fruizione dei contenuti da parte dei visitatori. Di seguito le diverse tipologie di cookie utilizzati nel sito "www.trattorialacarabaccia.com"
Questa tipologia permette al sito "www.trattorialacarabaccia.com" di recepire informazioni sull’utilizzo del sito stesso. I dati sono raccolti in forma anonima e servono per effettuare delle analisi al fine di migliorare l’esperienza di navigazione sul sito e fornire contenuti adatti ai diversi visitatori. I dati vengono inviati da domini di terze parti al sito "www.trattorialacarabaccia.com"
Il sito "www.trattorialacarabaccia.com" non utilizza cookie di profilazione e secondo la normativa vigente, non è tenuto a chiedere consenso per i cookie tecnici e di analisi, in quanto necessari a fornire i servizi richiesti. Ai sensi dell’ Art.13 del D.lgs 196/03, "Buongusto s.r.l." desidera informarLa che i Suoi dati personali forniti attraverso il presente sito Internet verranno acquisiti e trattati in forma cartacea e/o su supporto magnetico, elettronico o telematico nel pieno rispetto del Codice della Privacy. Titolare del trattamento è "Buongusto s.r.l." con sede a Via Palazzuolo 190r (Via il Prato 36r) 50123 Florence Italy. Ciò premesso, in mancanza di contrarie comunicazioni da parte Sua, consideriamo conferito a "Buongusto s.r.l." il consenso all’utilizzo dei Suoi dati ai fini sopra indicati.